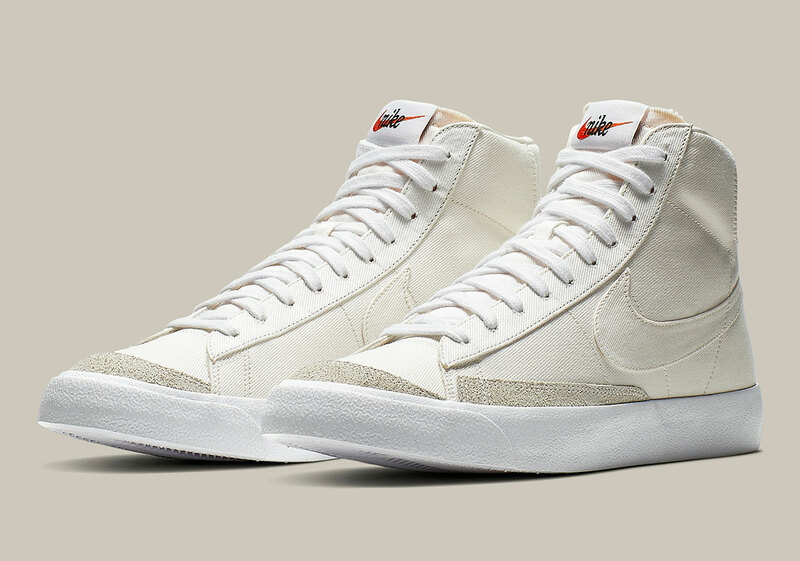 With the many vintage releases from the swoosh vault making their way out onto current release calendars, the spearheading model, the Blazer Mid 77, is basking in the limelight of new colorways with a forthcoming “Sail” edition imbuing versatile aesthetics onto the all-time classic. Whether a possible DIY project or simply a clean edition to one’s rotation, the pair, though neutral in its execution, is an alluring blast from the past. Uppers, in their mostly one-noted execution arrive in that subtle off-white tone throughout while white laces and midsoles add complimenting notes of contrasts. The mudguard panels and small toe box cap feature that same nappy suede seen on past releases, adding in needed texture for a striking dimension. Grab an official look below and keep it locked in to the store list below to secure your pair on April 12th.